After registering for the USMCA certification process, all coaches must first pass a national-level background screening, and adhere to guidelines to be eligible to become USMCA Certified. 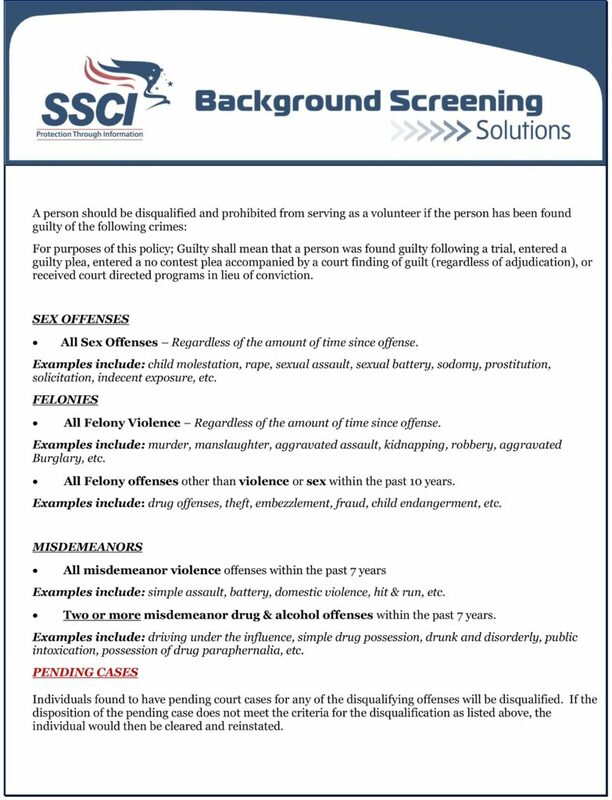 Below are the guidelines that the backgrounding screening company will apply to each screening. If a coach meets any of the disqualifications listed below they will be automatically removed from the Certification process.